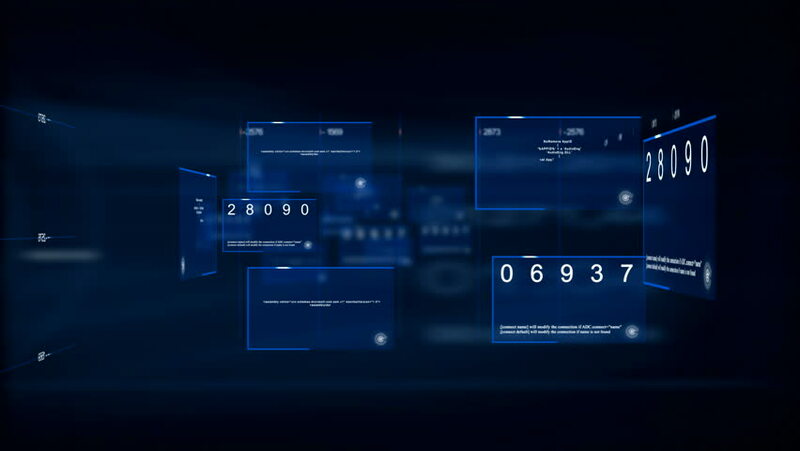 4k00:30High resolution footage of futuristic interface.Abstract digital background. Blinking and switching indicators and statuses showing work of command center or processing data progress.UHD, HD, 1080p. hd00:15Grids of connection ports and data floating in abstract cyberspace. All clips loop seamlessly. hd00:10Awesome neon VJ loop with colorful lines, rays and sparkles. Great choise for your stage performances, events, parties and techno raves. hd00:23business software interface & numbers.